On Jan. 4, 2019, the U.S. Supreme Court granted certiorari in the matter, Emulex v. Varjabedian. A ruling by the Supreme Court will likely resolve a circuit split regarding the pleading standard for claims brought under Section 14(e) of the Securities Exchange Act of 1934 that was created by the U.S. Court of Appeals for the Ninth Circuit’s decision in April 2018. 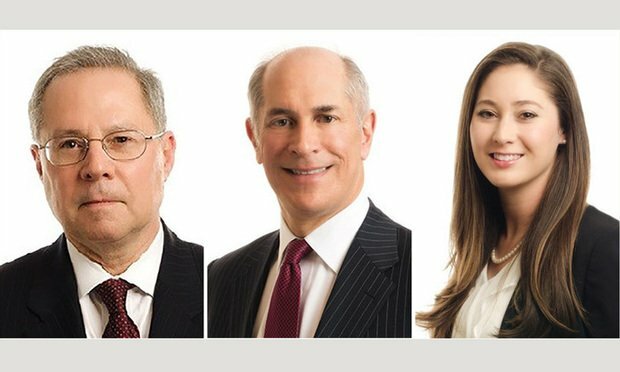 Robert L. Hickok, Jay A. Dubow and Erica Hall Dressler of Pepper Hamilton. On Jan. 4, 2019, the U.S. Supreme Court granted certiorari in the matter, Emulex v. Varjabedian. A ruling by the Supreme Court will likely resolve a circuit split regarding the pleading standard for claims brought under Section 14(e) of the Securities Exchange Act of 1934 that was created by the U.S. Court of Appeals for the Ninth Circuit’s decision in April 2018. In that decision, the Ninth Circuit departed from five other circuits, including the Third Circuit, and held that plaintiffs seeking to recover under Section 14(e) of the Exchange Act for alleged material misstatements or omissions in tender-offer filings must only prove negligence and not scienter. Envision managing the risk of a volatile, staggeringly lucrative, 100-percent federally legal enterprise? Toss in ridiculously inconsistent federal, state and local regulations, insanely evolving technologies and efficiencies and an industrywide disinclination to ever "play by the rules."